This page was created to attempt to share painting techniques and to learn from other wargaming painters. I may already have the Ogre leaning on the two handed sword bought, waiting on ebay to finish the bidding on it. Green = have it, Red = Don't have it yet/. 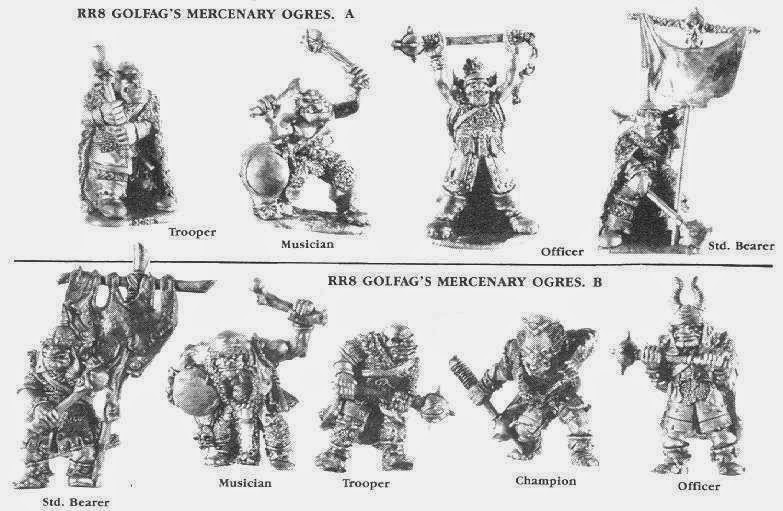 I have a set of Golgfag's Ogres 2005 available for trade. I also have the Hero in the picture below.